Star’s Corner: Your NAPW Network – It Works If You Work It! There’s Networking… and then there’s your Network. You can’t have one without the other and you should certainly always have both. Building a powerful network involves making connections that sustain more than a simple introduction. These connections, and the support required to maintain them, are necessary in developing a successful network. 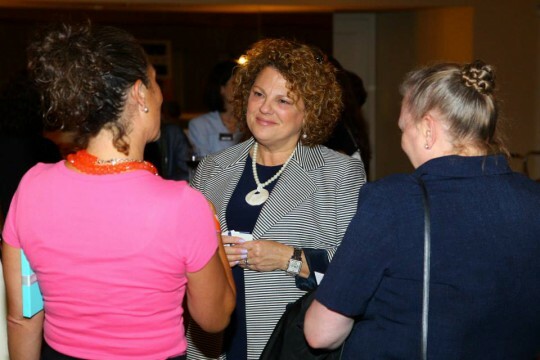 Yes, networking works – If you work it! The key to networking is building relationships over time that have the power to change your life – professionally and personally. Remember, it’s not only about what someone else can do for you; it’s also about what you can do for them. And, it’s that give and take that creates the ultimate connection. Make your next in-person networking event count! Whether it’s your first, third or twentieth networking event, it’s a fresh opportunity to meet new people and make your network even stronger. Be sure to attend our upcoming Regional Networking Summits, which provide you with local connections to power your world for professional and personal success. 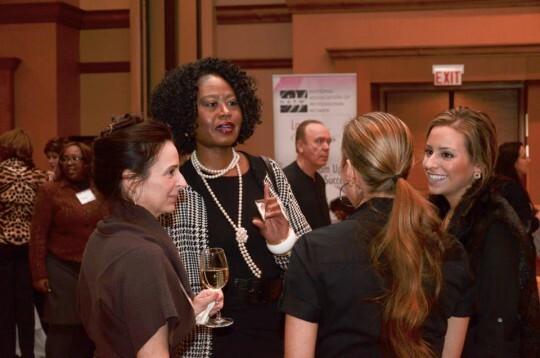 Our Summits offer unique networking opportunities with over a thousand professional women in your local area. Get out there and get spotted. Extend your hand and say, “Hello!” All it takes is one hello to change your life forever. Practice makes perfect! Be courageous and ask for help; seek a mentor and be present in your NAPW community as much as you can. Your network is there for you. When you have challenges or doubts, or need honest professional advice, that’s where your network comes in. They’re the women who understand you, support you and have your back when you need them most. They’ve been through the same challenges and are there to help you get through them. Your network is there to lift you to new heights of achievement – and you have the power to do the same for them! You must be an active participant in the networking process to maximize the full potential of your network. Use it to create a pathway to success by building long-lasting relationships and helping like-minded professional women reach their goals. Continue your relationships, listen attentively, follow-up with connections and lead with confidence. That’s what makes NAPW so empowering. Through passion, experience and commitment, NAPW women lead by mentoring, sharing experiences and achievements, and encouraging one another to achieve success. So, what are you waiting for? Get networking! How do you use your network to achieve success? Do you attend in-person networking events to build your network even stronger? Share your comments below.